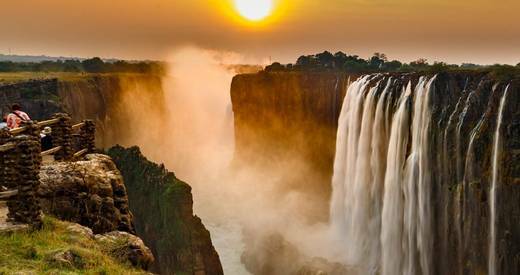 Not more than a kilometre away from Victoria Falls, The Kingdom Hotel is perfect for sightseeing and relaxing. 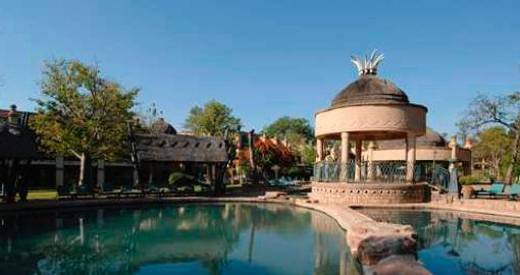 It displays true African-style architecture with its thatched roofs and Zimbabwe teak, making you feel like you have truly begun your holiday. This design is prominent in White Waters Restaurant where you will have breakfast under high ceilings and beside open arches that lets in the fresh Zimbabwean air. 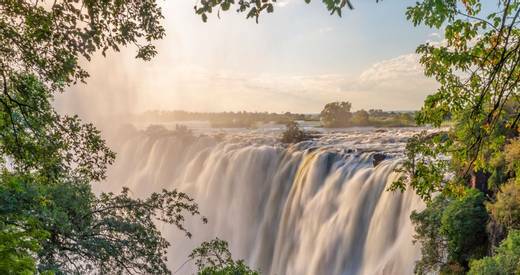 After visiting Victoria Falls, you could take a refreshing dip in one of the three swimming pools with a drink from the pool side bar. 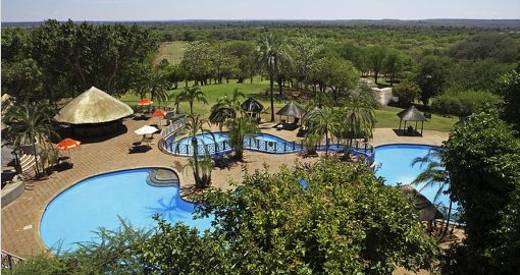 Regardless of where you room is, you’ll enjoy either tranquil views of the lake or the wild bush behind the hotel, making you feel as if you are deep within the jungle. 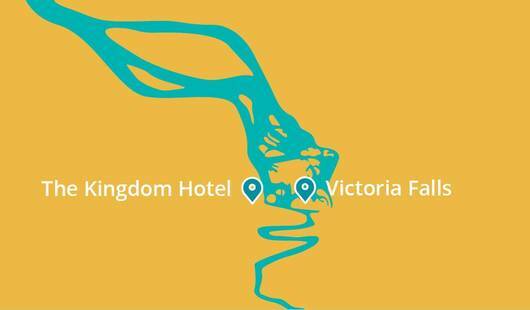 Settle back in bliss and let The Kingdom Hotel take care of you.